Beginning of senior year, and Rena Vesten is hoping for something incredible to happen. She never expected that the dark-haired, blue-eyed man of her dreams-literally-to suddenly appear as the new student at school. ...'till death do them part. The bell above the door jingled as I walked into the building, and the smells of new and old books wafted their way through my nostrils. This was heaven. I perused the aisles finding the new supernatural and fantasy ones. I thought about the large pile at home waiting to be read. It was about to get larger. I made my way toward the counter to pay, when the pounding headache found its way back. Immediately following, nausea clenched my stomach causing a few gags to gurgle out of my throat. I couldn't catch my breath and my heart jabbed against my rib cage. Trying to walk, and find somewhere to sit, I fell taking the books with me to the floor. When my eyes opened, darkness surrounded me. One tiny light peaked from behind the black drapes. Fear tightened its grip on my stomach. I stood on legs of Jell-O and made my way toward the light, hoping it would wake me from this odd dream. Stumbling across the dark path, a figure draped in night stood before me. A yelp escaped from my lips. I tried to get away, but his sparkling blue eyes locked me in place. With midnight hair spiked to a perfect point, he watched me with pursed lips. His toned body towered over me. His eyes danced along each portion of my body and I felt naked standing unguarded in front of him. In those eyes there wasn't desire but a longing, and I understood. I couldn't move, and didn't want to. For the briefest of seconds we stared at each other. Then he took a step forward. With that one step, his body was drenched in light head to toe. I could see every detail. With that one minor step forward his whole appearance had changed drastically. He went from being a dark seductive stranger, to a hideous foul beast. His blue eyes transformed to a deep shade of red like blood coated them. His lips once so full and lush, were now pulled back into a sneer as large protruding fangs slid from his gums. I screamed and looked around for an escape, but where do you run to in the dream world? His hand clenched against my shoulder. He spun me around and brought my back against his tight chest. Hard stiff hands pulled my head to a tilt. I felt hot steamy breath against the crevice of my neck. Was he going to bite me? Sobbing, I tried to break free from his grasp. Hoping that death in a dream was only that, but this dream seemed so real, so alive; I didn't know what to expect. Thrashing about I felt more hands on my shoulders, and I tried to fight back. When my eyes opened, the room was bathed in beautiful luminescence. I found myself back in the book store. “What was that?” I asked to no one in particular. I sighed with relief. It was nice to be back in the real world. That dream was frightening. I felt his hands on my body. His hot breath still stuck to my neck. 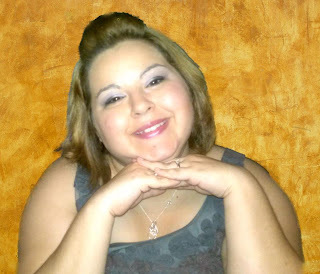 Tiffany Heiser is the author of the With Love series, a paranormal romance. She lives in Dallas, TX with her husband, Brian, and newborn son, Parker. She is an avid reader and enjoys rainy days. She has always written. When she was younger, it started with poetry and short stories, but as she got older she knew her dream was to become a published author. 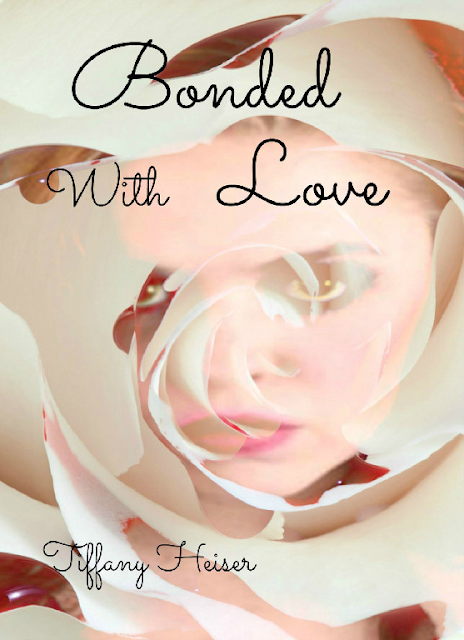 Her dream became reality when she decided to put her pen to paper and created Bonded With Love, from there she has also published a short story prequel to the With Love series, Broken Bond, and recently released Book 2, Struggle With Love.